Reliance Fresh the largest retail chain of Reliance Retail will rediscover itself and open a new sub-format discount store Reliance SuperValue. In order to fight the slowdown, the company is planning to convert existing Reliance Fresh stores in Jaipur, Dhanbad, Aurangabad, Hubli, Dharwad and Mysore into Super Value stores. These store are unlikely to offer shopping experience in the comforts of A/C and are likely to have their merchandise priced 10% lower to create demand. 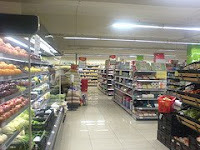 Future Group started similar venture by opening KB fair Price Shop instead of the regular Food Bazaar in some cities. These stores are comparable to bankrupt retailer, Subhiksha which had fewer SKUs & smaller shops without A/C. Reliance is planning to cut down costs by downsizing staff, power bill, rentals and improved logistics and supplychain so that they can pass on the real benefits to the end consumer. Reliance had held talks with Wincaton for a Supply chain & Logistic partnership but the deal failed to materialize.